We are quickly approaching the winter but our "frugal finds" for October reflect neutral items that we could all use in our wardrobe. These its will keep you warm, or can be layered throughout the cooler months. See the of the Week page for additional sales! It feels like it has almost a year that we have been waiting for the H&M x Balmain collaboration to come out. We had our first sneak peek of the collection on Jourdan Dunn and Kendall Jenner at the Billboard Music Awards back in May. Well the moment we have all been waiting for came last week when the official lookbook was released. If you follow us on Instagram, Christen posted the leaked photos of the collection prior to the lookbook being released. With only two weeks away we cant contain our excitement. You'll be able to shop the collection starting on Nov. 5 in 250 select H&M stores worldwide and online. The pricing for the collection has also been released and this isn't your ordinary H&M collaboration. The collection ranges from $17.99 to $649, so there is something for everybody. Now this collection might not be in this frugal shopaholics budget, but if you love the Balmain look and you aren't able to purchase at full price this collection is for you. Check out the full lookbook and comment below with your thoughts! Have you heard of Fashion Nova? Well if you haven't Fashion Nova is an online retailer that sells trendy women's clothing including dresses, skirts, shoes, jackets etc. But they are known for great denim for curvy girls. 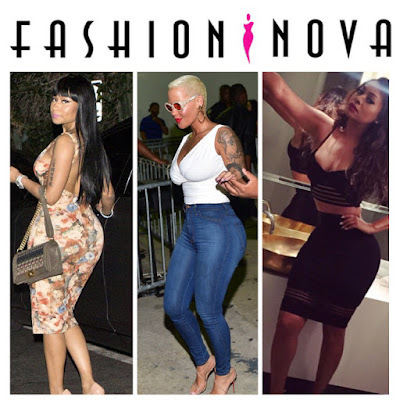 Celebs such as Nicki Minaj, Amber Rose, Lala Anthony, Christina, Milian and etc. In my opinion, Fashion Nova is a great place for Frugal Shopaholics to grab basic items that they can dress up or dress down. If you follow them on Instagram they always post new items, you can even shop their Instagram post on the website. But price is key! Items that you usually find for $50+ are less than $30 at Fashion Nova. The price range for most of there items is $8-$38. Talk about a steal! I have not purchased anything just yet from Fashion Nova but I def have a cart full of items I plan on buying. 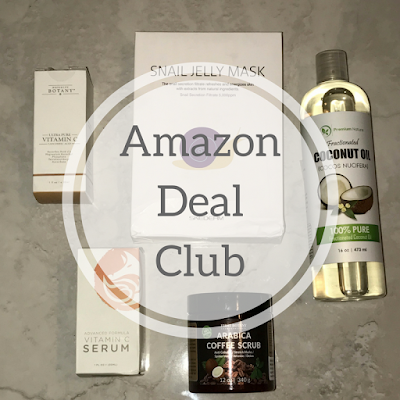 Check out some items I'm eyeing below! If you live in California, they also have 5 locations so go and check the stores out. Fall is in full effect, but if you are anything like me than you are dreading putting away the summer shoes and pulling out the fall shoes. This fall pointed toe flats, fringe details, and suede are in. Check out some footwear for this fall, and they are all $50 and under. This month's look for less is a Miu Miu look-a-like. This shoe might be one of the most duped shoes this year. 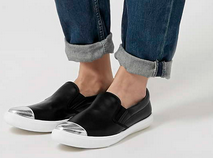 I've seen a version of this shoe at TopShop, MissGuided, ASOS and other stores. I settled on showing this pair below because it is almost a perfect match. Check out where to get them below. 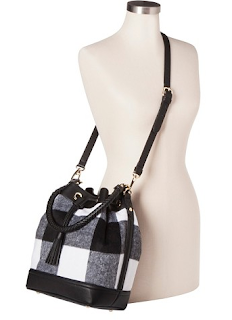 As I've said in my "Pre- Fall Round Up" post, plaid has a place in each season. 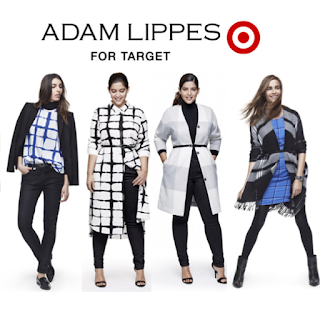 Designer Adam Lippes has created a fall plaid collection for Target. The collection has more than 50 items embossed in the designer's interpretation of buffalo plaid. 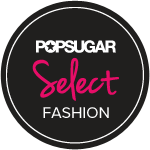 The collection includes, women's and men's apparel, shoes, accessories and home decor. 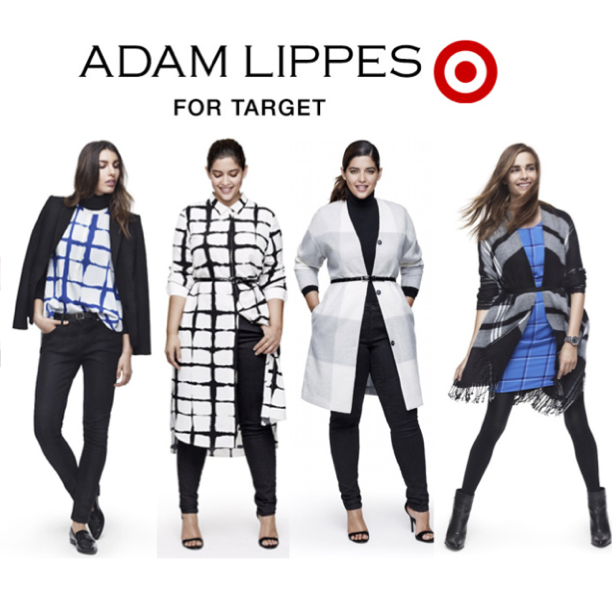 Adam Lippes for Target released on September 27th online and in select Target stores. The collection's price ranges from $14.99 to $129.99. Check out the full lookbook! Below are the items I plan on purchasing from the collection. The last two years I've put "attend a fashion week" on my vision board and this year I as able to fulfill one of goals and attend a few events at this years Charlotte Fashion Week. I had been getting emails about this years events and came across an email about attending free as a blogger/media. Great news for me I quickly signed up and was granted complimentary to all the events that week. Day 1 was a kick off event where the models, designers and media could network and have cocktails At a really nice restaurant in the heart of uptown Charlotte. A photographer named Laurence that I've been working with for the little over a year was in attendance and he made it his business to introduce me to all the models, designers and even the directors of Charlotte Fashion Week. I passed out so many business cards so I was pretty excited. Most of the designers had models strutting their stuff all night in their designs so it was cool to see a glimpse of what the runway would look like. Day 2 was the first runway show. It was held at the Charlotte Country Club. It was a very elegant and regal set up. After arriving an hour early I was able to snag a couple photos with key people before the shown started. 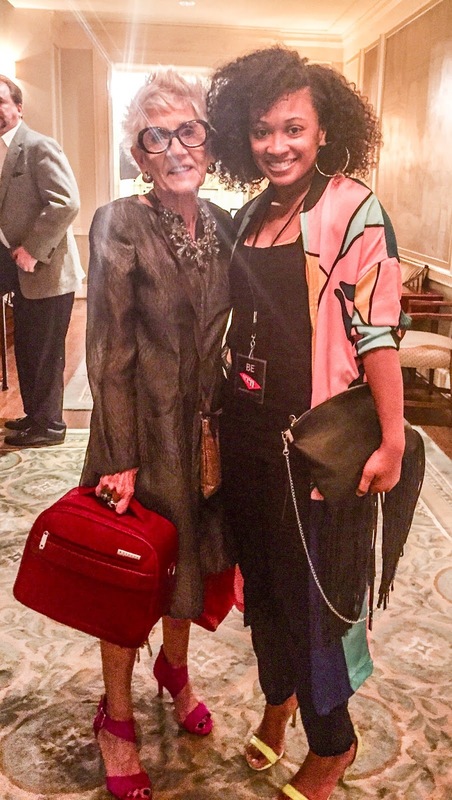 The theme of Charlotte Fashion Week 2015 was 'Embracing the Ages'. In which all of the models were from different age groups they even had pets modeling in the fashion shows most of the clothing was made by designers or were items from boutiques or our favorite stores like H&M, BCBG and Banana Republic. The highlight of my two days of attending was meeting and having the opportunity to see a woman named Grazia Walker walk in the show. She is a spitting image of Iris Apfel the fashion icon, and I have the picture to prove it! Overall, Charlotte Fashion Week was a good experience even though I didn't attend all of the weeks events. Networking is key! Here are a few more pictures. Usually we do our monthly 'What's The Trends?' on fashion trends but this beauty trend is worth mentioning. 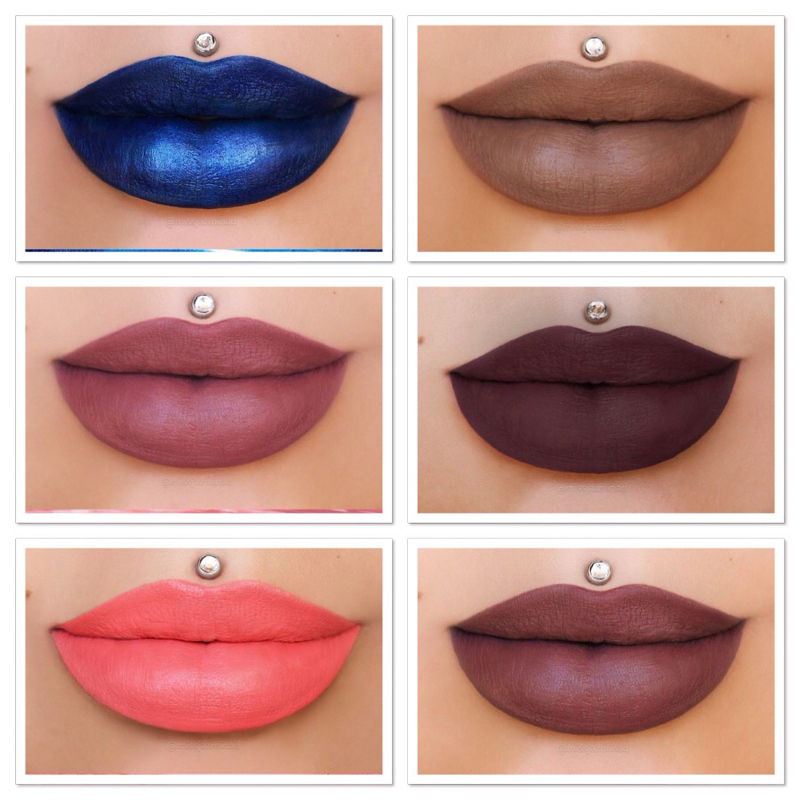 It’s the matte liquid lipsticks. This beauty trend is big this fall and all the makeup brands are joining in on the madness. 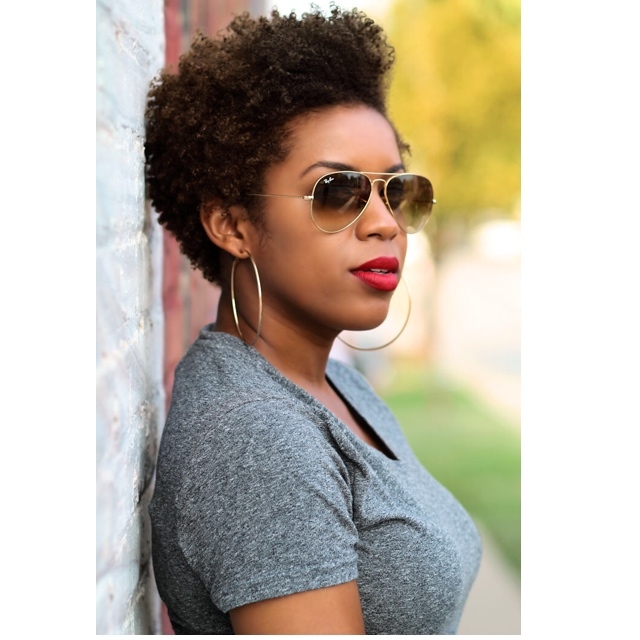 They go on smoothly, set quickly, dry to the most perfect matte finish and last all day. So I’ve put together my picks for the ten most popular matte liquid lipsticks you need for fall. Leave a comment below if you want to see more beauty trends. Melissa Chanel, that's my first and middle name. My blog is all about my personal style and lifestyle so my readers get a piece of me daily. I would describe my style as edgy-chic, but girlie. Frugal Shopaholic means purchasing closet building pieces. Not always shopping trends and making sure you're not going over budget. When you find something you MUST have, wait a week or two because it'll most likely go on sale. Always search for coupons and make sure the pieces you're adding to your closet help build your wardrobe.